Newbie? Seasoned rider? From tiny tikes to retirees, and everyone in between, Beyond Biking works with all levels of riders in a safe and controlled environment to build confidence while learning and refining fundamental skills. All you need is a helmet and a bike, but if you don’t have a bike, we can help with that as well. Bikes are available for courses through Arrowsmith Bikes. Please visit our registration page for the next scheduled sessions. If you are unable to attend during the scheduled times, grab a group of friends and we’ll book a time that works for you. All clinics are held in Nanaimo, BC unless otherwise stated. Jessie McGarrigle is a local mountain bike instructor with 20 years riding experience. 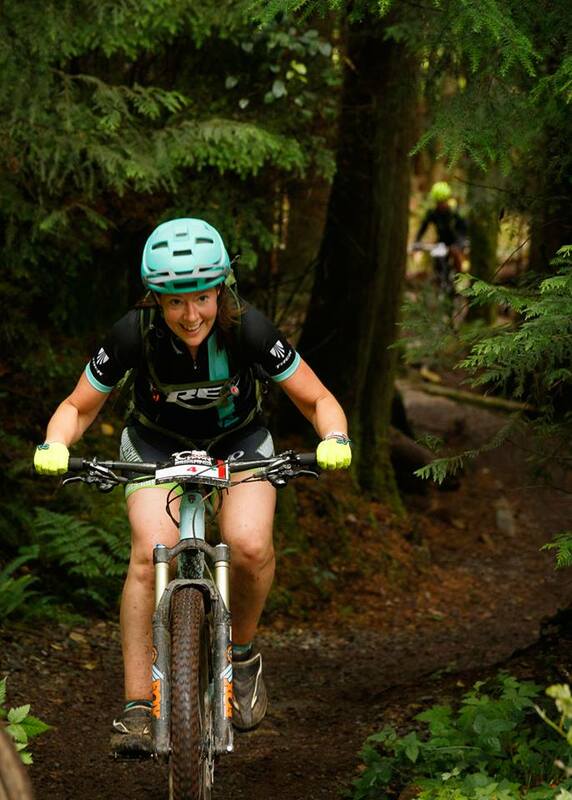 She competed in cross country races all across BC in her teens and is part of an avid mountain biking family. In 2016 was nominated she won the Kazlaw Community Rider Award from the BC Bike Race which earned her a spot in the 7 day stage race. Jessie is a very patient instructor who excels at breaking skills down into steps that are easier to learn in a safe and comfortable environment. 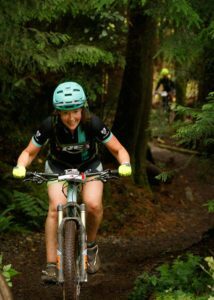 She is the owner of Beyond Biking; previously taught alongside the Drift Mountain Biking crew; has instructed for Pacific Sport; and is currently leading the beginner rides with the Nanaimo Mountain Bike Club as well as leading the ladies group rides for Arrowsmith Bikes. Helping you acquire the skills to become a confident rider is her passion. Jessie is qualified under the PMBI (Professional Mountain Bike Instructor Association) and Sprockids. Grant has been a part of the cycling industry for more than 20 years. His love for bikes began at a young age, which took him racing across Canada and eventually leaving his roots of Devon, Alberta for Whistler, BC. Turning in his professional spandex for baggy shorts and goggles, he made the move to a new era of Free Ride. Since moving to BC, Grant has worked solely in the bike industry. He’s worked in Whistler, The North Shore and now here in Nanaimo, Vancouver Island, all of which are areas that are famous for beautiful trails and technical riding. It is safe to say that Grant chases the ride. He is a well rounded rider and is very skilled at drops, jumps, and all things rocks and roots. If you are looking to push the limits of what you think you are capable of, Grant is able to help. He’s always been passionate about getting people on bikes through sales, now he’s a certified coach wanting to help you strive to be the best rider you can be.